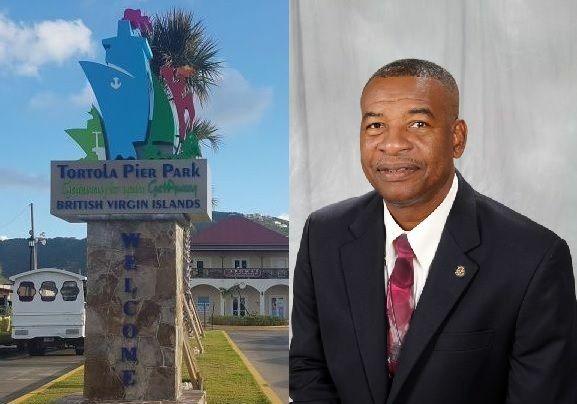 The confirmation came on January 23, 2017 via a press release, which stated that the Board of Directors of TPPL has appointed Mr Lewis as Interim Chief Executive Officer (CEO) of Tortola Pier Park Ltd effective February 1, 2018. "Mr Lewis is set to take up this appointment following the demitting of office by current CEO, Ms. Dona Regis on 31st January, 2018. Mr Lewis is a seasoned business professional with over 20 years in managerial experience and will be providing Management Services to Tortola Pier Park Ltd during the recruitment process for a new CEO," the press release stated. But, according to the release, TPPL is on the hunt for "The Ideal CEO", someone they are yet to attract via public advertising. "Board of Directors of Tortola Pier Park Ltd are keen on recruiting a highly qualified CEO who’s focused will include embarking on a new phase for the facility. The ideal candidate will ensure the continued growth of the new cruise and shopping center via its positive contribution to the BVI’s economy and maintaining strong relationships with their valued cruise partners and stakeholders. The position for CEO of Tortola Pier Park Ltd will be advertised within the coming weeks giving suitably qualified individuals the opportunity to apply to be a part of this exciting venture," said Mr Anghel George, Chairman of the Board of Directors of Tortola Pier Park Ltd.
Chairman of the Board of Directors, Mr George said that over the last three (3) years Tortola Pier Park Ltd has been transformed from construction phase to a fully operational multi-use facility and entertainment hub for local residents and international guests. He noted that, under the leadership of Ms Regis, Tortola Pier Park accomplished several milestones including the grand opening of the facility in February 2016; 97% occupancy in under 2 years; creation and implementation of key management and operational policies and procedures; the successful execution of Tortola Pier Park’s inaugural Jazz & Style Festival; attaining the Porthole Cruise Magazine’s Editor’s choice award for “The Most Exciting New Cruise Port” and Seatrade Cruise Global “2017 Port of the Year” award; establishing Tortola Pier Park as a highly recognised cruise and shopping facility both internationally and locally; the reopening of Tortola Pier Park after the severe territorial impact of Hurricanes Irma and Maria and playing and instrumental role in the return of cruise vessels to the VI in December 2017. Senior sources in the National Democratic Party (NDP) have indicated that Mr Vance M. Lewis has been favoured to take over as Chief Executive Officer (CEO) of Tortola Pier Park Limited by the start of February 2018. 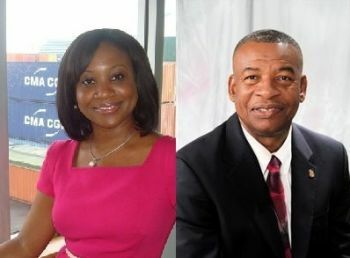 Our well-placed sources said Mr Lewis is one of at least three persons who were being looked at since Ms Dona L. Regis indicated she was not desirous of continuing into a new contract with the government owned facility. Her contract ended on January 5, 2018 but stayed around a bit to hand over to her intended successor. The Tortola Pier Park has been the subject of controversy following its ban on minors. Meanwhile, Mr Lewis has been described as an ardent businessman with hands in multiple private businesses but foremost he has been one of the right-hand men for Minister for Communications and Works Honourable Mark H. Vanterpool (R4). He has also been the lead person for the Ministry of Communications and Works' energy programme. With a background in Telecommunications spanning some 36 years, Mr Lewis rose through the ranks of Cable & Wireless, starting as Technician Trainee in the VI in 1972, becoming Branch Engineer in 1989, Vice President Network Services Leeward Islands in 1999 and in 2002 he ascended to the role of Chief Executive Officer in the VI. In 2004 - 2005 he served as Commissioner to the Constitution Review Commission, with a scope to reviewing the Constitution of the Virgin Islands. At the end of 2008, Vance retired from Cable and Wireless and started a Business Consultancy company, VM Professional Services Ltd, a telemedicine company and several other business ventures in which he is involved as Partner or Director. 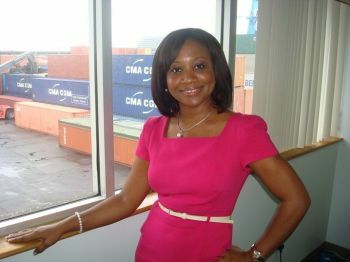 He is also currently a special advisor to the Government of the Virgin Islands in Energy and Telecommunications. Mr Lewis is a Graduate and Fellow of the Chartered Management Institute of the United Kingdom. In May 2010, Mr Lewis was elected by District 7020 Leadership to serve as its District Governor for 2012-2013. This was a milestone for the [British] Virgin Islands – the first Rotarian from the territory to serve as District Governor for District 7020. Mr Lewis could not be reached for a comment up to the time of publication. Leave Vance alone. He was here from time Tortola had one road from Stone Haven to J. E. W. Georges. He deem here his home. We are one people helping to build this great little nation. Let us move forward from this type of mentality. Who is this sick fool? Seriously, cant we find a local for this position??? I was his boss in the 70's and 80's. We brought six lads from down islands to train. Most of them are still here. Anybody knows about "Conflict of Interest"? Doesn't he have shares/own one if the businesses located at TPP? 3 businesses to be exact. Mark running rings around them. I know Mr. Lewis a long time now and as far as I am concerned, he from right here despite where he was born. He is and has been a positive contributor to this community for a very long time. Contributing much more than some "born-heres"
SK has the best and the best run cruise ship port in the world for it size. I saw Vance there liming and observing for the Christmas holidays and his buddy Bevis has his office upstairs one those building at Port Zante lik a kings palace, I went to visit he living large in SK..We will see. Time will tell..Give Vance a chance.. Apparently not so good advice on telecommunication and energy. We still third world when it comes to the above. Vance M. Lewis is well qualified for the position. Make it permanent. To all you haters, Vance is honest, he is very smart and is more than suitable to occupy this position. What is this bs about he is not from here? All born here's who never went to another country for job opportunities or educational advancement, put up your hands. I thought so. Stop the bs. Congratulations Mr. Lewis. Congratulations Vance! You could have abandoned Tortola professionally many times, they just don't know it!